Check out the new Venum Kontact Lycra Knee Pad. This awesome looking kneepad with its anatomical wrap-around padding provides high-impact absorption while maintaining a comfortable fit. Air-holes also provide breathability and the inner terry-loop fabric provides for maximum comfort. The Venum Kontact Lycra Knee pad; true quality, as expected from Venum. 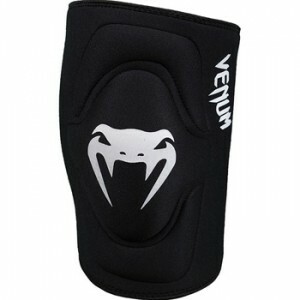 The Venum Kontact Lycra Knee Pad is available at MMAWarehouse for $32.99.